Three years ago, if someone had mentioned that they were purchasing some worms, I would have grabbed my pole and said “let’s go fishing”. Later, as I became interested in organic gardening, I started reading about worm bins and worm compost. A light bulb went off in my head: folks were purchasing certain types of worms so that could use them to create compost. The technical term for this is “vermicomposting” which is, logically enough, the process of composting using worms. Now before you go “yuck,” hear me out. Vermicomposting is clean, takes up very little space and, if done properly, is odor and bug free. Not only that, but vermicomposting is suitable for condos, apartments and other residences that do not have a suitable place to start a compost pile. I readily admit that I am not an expert at vermicomposting but I wanted to share some information with you so that you, like me, can get started creating some black gold (compost) of your own. To help me out, I turned to a local expert for some technical assistance in explaining how composting with worms works. Today, I am thrilled to share an article from Callie Martin who is the Waste Reduction/Recycling Education Specialist for Skagit County (Washington State) Public Works-Solid Waste Division. She is an expert at all things gardening and recycling and can explain the basics of vermicomposting so much better than I can. Of the many delicious meals cooked from the garden, left behind are delicious food scraps, waiting to return to the soil as compost. Compost is nature’s way of recycling all things that were once living. There are several options for composting food waste at home. One of the most popular is vermicomposting. The art of vermicomposting harnesses the work of the ‘red wriggler’ composting worm. Their job is to eat leftover food and turn it into a potent soil amendment, namely worm manure, known as ‘castings’. Unlike the earthworm, the ‘red wriggler’ is a type of worm used specifically for composting because of its aggressive desire to eat fresh food scraps. While the earthworm can take on the same job, it is better suited playing the roll of a soil tiller, aerating garden beds. Unlike the red wriggler, earthworms need mineral soils to survive, and would not do well covered in food scraps. To start a worm bin using red wrigglers, you will need to secure a sturdy wooden or plastic box with a tight fitting lid. It can be made from an old cupboard or packing crate, or constructed with untreated plywood and two-by-fours. The tight lid keeps pets and rodents out, and protects the worms from weather. A shallow box about one foot deep is best because the worms must live near the surface to breathe. Like us, red wrigglers and their microorganism helpers breathe oxygen, creating a healthier form of decay than that in the landfill. Worm bins are filled with ‘bedding’ to provide the worms with a balanced diet as well as a damp, aerated place to live. Composting food scraps in a worm bin without bedding will produce a slimy, smelly mess. Common bedding materials include newspaper, corrugated cardboard, office paper, natural paper egg cartons, straw, partially composted wood chips, and brown leaves. You are welcome to mix several types of bedding to the worms liking. Always tear newspaper, paper egg cartons, office paper and cardboard into one to two inch wide strips before using them as bedding. Any bedding material you choose needs to be thoroughly soaked in water for several minutes before adding it to your worm bin, but be sure to squeeze out excess water after it has been soaked. Add bedding loosely until the bin is almost half way full. Don’t worry; there will be plenty of room for your food scraps, too. Before adding food scraps, here are a few special tricks to make your worm bins success. Working in the worm bin, one style of vermicomposting. Add one or two spade-sized shovelfuls of garden soil to the bin to ‘inoculate’ it with garden bugs that will be helpful to your worms. Crush up some egg shells and sprinkle them across your bedding. The calcium in the shells will help your worms both reproduce, as well as grind up the food scraps they eat in their chicken-like gizzard. Have a burlap sack, large piece of cardboard, or sheet of black plastic on hand. After you’ve started your worm bin, you can use these items as topical ‘blankets’ to keep the environment in your bin protected, dark and moist for the worms. These covers also may help to prevent fruit flies, if that ever becomes an issue. Bury food scraps in the bedding. Always cover them with a few inches of the bedding to prevent flies and odors from becoming a problem. Rotate burial places throughout the bin to provide worms with a balanced diet of kitchen scraps and bedding, and to keep the pile aerated. Worms can eat a variety of food scraps, but do best as vegan/vegetarians. Though they will eat meat, the odors and maggots that usually ensue and not readily desired! Bad smells in a worm bins can result from too many food scraps, too much moisture, or the presence of cheese or other animal products. Odors can be controlled by removing excess or inappropriate wastes, or adding drainage holes and fresh bedding. 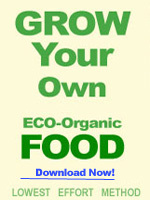 Harvesting worm compost for use in your garden is easy. Simply push the nearly finished compost to one side of the bin and put fresh bedding on the empty side. For the next six weeks, bury food scraps in the newly bedded side only. The worms will migrate over to the fresh food in the rebedded side of the bin as the food finishes decomposing. When the old bedding and food scraps are completely composted, they become a dark and crumbly soil-like material which can be harvested and replaced with fresh bedding, starting a new vermicomposting cycle. Composting plays an important role in reducing household waste by diverting it from the landfill. In a landfill, nothing degrades, not even ‘biodegradables’ like food waste. Most of the ingredients for decay to take place in a landfill have been taken away. Those ingredients are sunlight, air, water and microorganisms. Food waste buried in a landfill, like other garbage, is sealed and mummified. The contents that do break down, do so slowly, and only with the help of microorganisms that don’t breathe oxygen. This form of decay is referred to as ‘anaerobic decay’, and lets off a more powerful greenhouse gas than CO2, methane. So, the act of composting food waste from your kitchen makes a difference. A small difference, you can make. Plus, your composting work results in good use for your garden and property. In addition to the basics of vermicomposting, I have learned is that soil that is also the home to lots of earthworms is good soil. 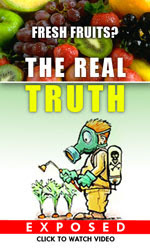 Actually, it is better than that – it is healthy soil. As earthworms maneuver through the soil your garden, they slurp up minerals, leaf litter and other plant debris. They aerate the soil and leave valuable fertilizer behind in the form of worm poo. Putting two and two together, it seems to me that the combination of worm compost and real live worms in your garden is the winning ticket for healthy organic vegetables. One more thing: although you can purchase a commercial worm bin for about $80, next week I will show you how to build your own using a Rubbermaid bin or other plastic tub for less than $10. This is going to be fun!